I will be talking about the top four certifications so that you can choose the best one for you. 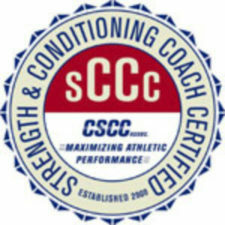 The 4 strength and conditioning certifications I will be comparing are the CSCS vs NASM PES vs SCCC vs ISSA. Receiving one of these sports performance certifications and becoming a strength and conditioning specialist can be very rewarding for your career. I highly recommend that you Take the quiz to get an estimate on which strength and conditioning certification is the best fit for you overall. This is just an estimation, read the article to get the full understanding. If you have any questions or concerns about SAC certifications, drop me a comment here and I will get back to you within 24 hours. Whether you are just graduating from college or have been a personal trainer for some time, these certifications will all expand your knowledge of exercise science and training. 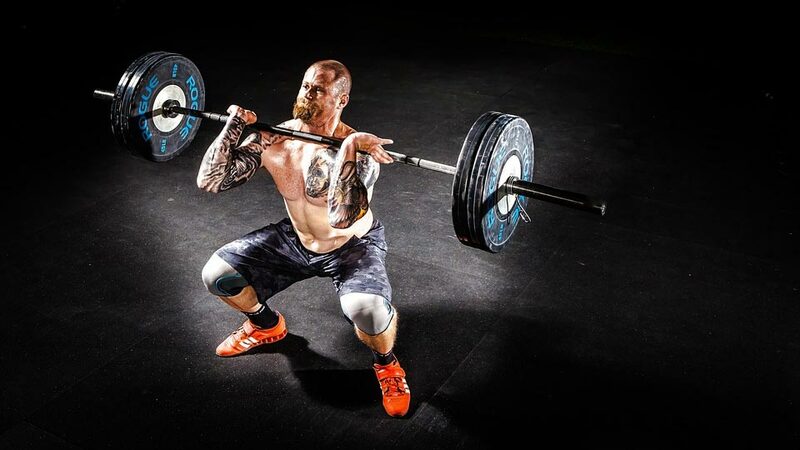 I also recommend checking out my article on how to become a strength and conditioning coach as well as my post on the top corrective exercise certifications. Let’s get right into the comparisons! In this section, I will be doing a quick rundown of each organization. Let’s get started. 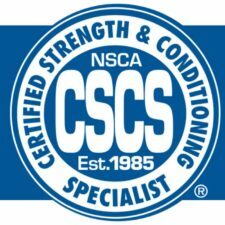 The certified strength and conditioning specialist (CSCS) is a certification from the national strength and conditioning Association. 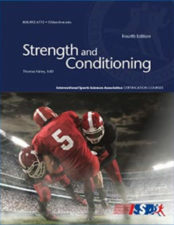 The certification is viewed by many to be the gold standard for strength and conditioning/sports performance training. This is one of the harder personal training certifications that I have ever studied. In regards to the bachelor’s degree, it does not need to be in an exercise science related field. The CSCS certification is accredited by the NCCA. The performance enhancement specialist certification (PES) from the National Academy of sports medicine is another gold standard in the strength and conditioning space. It is created from NASMs popular optimum performance training model (OPT) that they use in their general personal training certification. The OPT model is regarded as one of the best ways of progressing clients/athletes very efficiently and safely. As of now, I consider the NASM PES to be equal to or better than the CSCS. Keep reading to find out why. 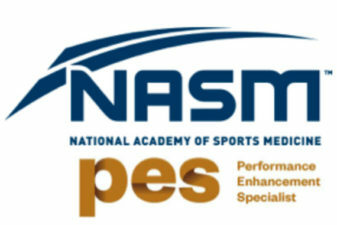 The NASM PES is accredited by the NCCA. This is one of the best sports performance certifications for becoming a strength and conditioning specialist. check out the NASM PES here. 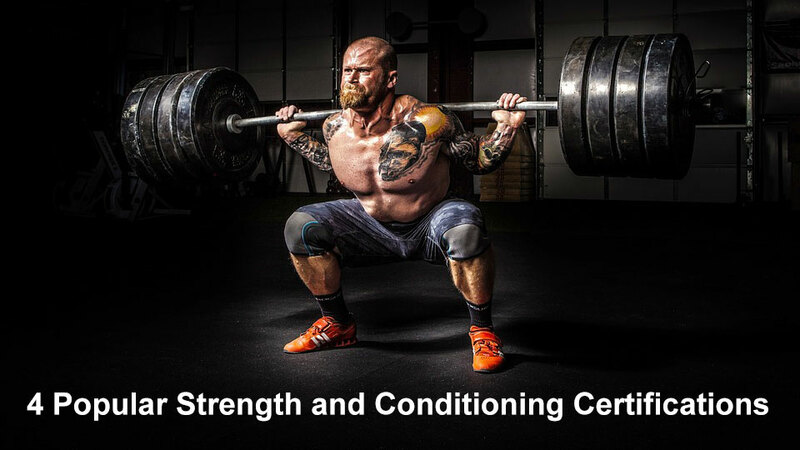 The strength and conditioning coach certified certification (SCCC) from the collegiate strength and conditioning coaches Association is a very prestigious strength and conditioning certification. This certification is by far the most difficult certification to obtain out of all four on this list. In fact, they only have one test date every single year. Approximately 200 people sign up for and take the SCCC test every year. you must complete an internship with a CSCCa approved mentor for 640 hours. Must currently hold a general CPT certification. The SCCC is an NCCA accredited certification. 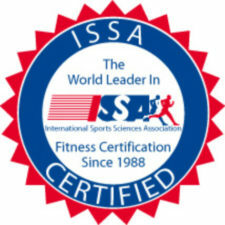 The ISSA strength and conditioning coach (SSC) is a relatively new certification from the international sports sciences Association. This is one of the only certifications that can be done entirely online which makes it very attractive to some. The standards of how rigorous it is to get the certification are much more relaxed. That being said, the information that you will learn from the strength and conditioning certification is legit. The ISSA SSC is DEAC accredited. Check out the ISSA SSC here. 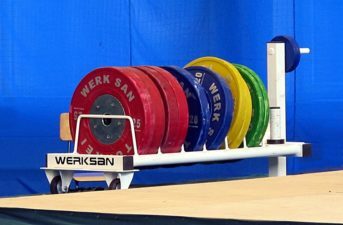 In regards to acceptance and popularity for each of the strength and conditioning certifications, and varies depending on who the employer is. If you are going to be working for a collegiate or professional sports team, the CSCS, PES, and SCCC are the three certifications they will be looking for. This is because the ISSA certification is relatively new and unheard heard of. In regards to personal training employment, all four certifications are excepted at mainly any gym or training facility. Here is a graph of the popularity of each for the certifications over the last 12 months according to Google trends. As you can see, the NSCA CSCS certification is the most sought after by people searching Google. The NASM PES and SCCC certifications are tied for second. If you can notice the flat green line at the bottom, that is the ISSA certification. This makes sense because the certification was just released more or less. 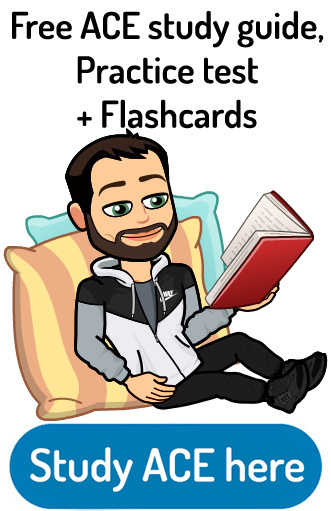 In this section I’ll be giving a rundown of the study materials you will receive with each strength and conditioning program, as well as information on the exam. 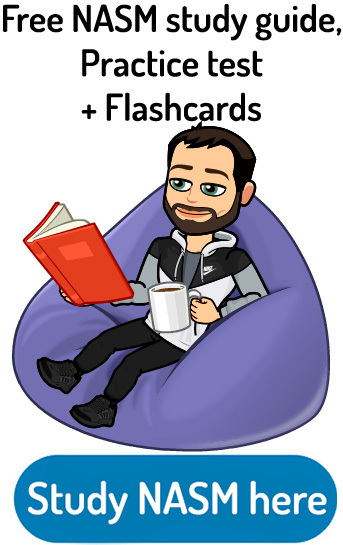 There are a few study materials that can get you ready for the CSCS test. The NSCA is expecting a lot of their candidates to be coming from an exercise science related college degree. That being said here are all of the exam prep study materials that they offer. Overall, the CSCS study materials are fundamental. This is because they assume you are coming from and exercise science background already. The CSCS test is comprised of two different sections. The scientific foundation’s portion as well as a practical/applied part. Let’s break down both of these to see what they are all about. The scientific foundation’s section consists of 95 multiple-choice questions. You will receive 1.5 hours to complete this portion. You will be tested on your knowledge of exercise physiology, anatomy, biomechanics, and nutrition. The test is broken down like this. The practical and applied section will test your knowledge for program design, evaluation, organization, testing and exercise techniques. Overall there are 125 multiple-choice questions and you are given 2.5 hours to complete this portion. Both tests are graded on a scaled score from 1 to 99. You need to score at least 70 in both sections to pass the CSCS. The pass rate for 2017 was 53%. If you fail to pass the test on your first try, the retest fee is $340 (basically the whole price). If you only failed to one section, the retest fee for one part is $250. The performance enhancement specialist certification, on the other hand, is packed with all kinds of study materials similar to their general CPT certification. Here is what they offer regarding the guided study. I like how the PES offers tons of interactive study materials. All of us learn in different fashions in not all of the scanned absorb information just from a boring textbook. The NASM PES exam will test you on five separate sections. You will be tested on exercise assessment, applied and basic sciences, exercise technique, nutrition, and program design. The test will be taken online and contains 100 multiple-choice questions. Similar to the CSCS certification, the PES is graded on a scale, and you need to score 70% to pass. You will be given 90 min. To complete all 100 questions. The basic study materials you will need for the SCCC certification! The SCCC exam is tough to prepare for. This is because they do not have their specific study materials for the tests. Most of your learning will come from the 640 required internship hours with a mentor. Health Fitness Management, 2nd ed. Sports Nutrition Guidebook, 5th ed. 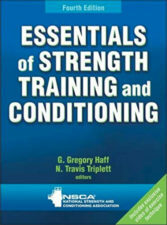 Designing Resistance Training Programs, 4th ed. Exercise Physiology: Theory and Application to Fitness and Performance, 9th ed. Physiology of Sport and Exercise, 6th ed. As you can see, they merely recommend other study materials to prepare for their test. They even include (bolded above) the primary textbook for the CSCS as an approved study material. The pure volume of books and pages that they recommend you study is overwhelming. These are all complete textbooks for the most part. They also have some recommended manuals, articles and videos that can aid in your study process. Here is the link to their full study resource suggestions. There are two separate sections to the SCCC test. There are a written examination and a practical exam. Let’s talk about both of these. goal setting and much more. The practical exam for the SCCC is a very rigorous process. Before taking the practical exam, one is required to submit a one-week training program for a particular sport as if they were handing this program over to an athletic. Individuals will also have to defend the one week program they have designed for their imaginary athletic. You need to pass both the written and practical exam to pass the SCCC certification. You are only giving a pass or fail grade. The overall passing rate for both sections is 61% as of 2017. Similar to the NASM PES, the ISSA SSC certification provides sufficient study materials that are all particular to their program. Here are all the study materials you will receive with the SSC. Practice exams and section quizzes. The ISSA SSC study materials are fantastic overall. I like the online student forum and the ability to ask experts on concepts I was struggling with. The ISSA SSC test is done entirely online. The test is also open book, and you have an unlimited amount of time to answer the questions. You will be asked questions about the following areas. I could not find pass rates for the ISSA certification, but I am assuming it’s close to 90% similar to their general CPT. Let’s see how much each of these certifications cost. The price point of certifications can be the make or break it for lots of personal trainers. The CSCS certification depends on how many study materials you purchase as well as whether or not you are a member of the NSCA. The flat rates for the exam are $340 for a member and $475 for a nonmember. There are two popular membership prices. The first price is $65 a year and is the student price. The next is $120 a year, and that is the professional price. Regarding the study materials, the cheapest route that you can do is to purchase their main textbook, the essentials of strength training and conditioning and conditioning. This book costs approximately $70 or $80. Overall it will cost you approximately $500 at the minimum to get certified with CSCS. If you want to get all the study materials and not become a member, it will cost you around $900. 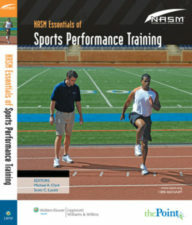 The performance enhancement specialist has three separate packages that are available on the NASM website. Here are the three prices for packages. These certifications usually have about 20% to 30% off, and you can generally get the self-study package for as low as $500. Similar to the CSCS certification, the SCCC certification depends on whether or not you are a member of the CSCCa. The cost for the certification for members is $360 and for nonmembers is $470. The yearly membership with the CSCCa has two options. For students, it cost $55 a year, and for full-time coaches a costs $110 a year. Whichever option you go with, it will cost approximately $500 to get the SCCC certification. If you end up purchasing each of the recommended study textbooks that the SCCC recommends, you will be spending approximately another $500 on those books along. The ISSA strength and conditioning coach certification vary between $499 and $699. They usually have sales going on that bring it down to $499, or you get some gift card which is a debit card with a certain amount of money on it. On average, each of the certifications is approximately $500. Check out the current price for the ISSA SCC here. 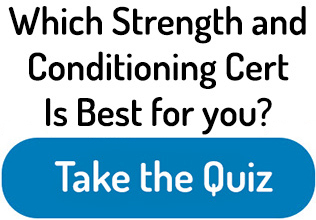 If you have not done so yet, Take the quiz to get a better overall idea of which strength and conditioning certification is the best match for you. Well, that’s about it for my best strength and conditioning certification article everyone. All four of these are legitimate options if you want to get into training athletes for peak performance. For collegiate or professional training, the CSCS, PES, and SCCC are the top three certifications. 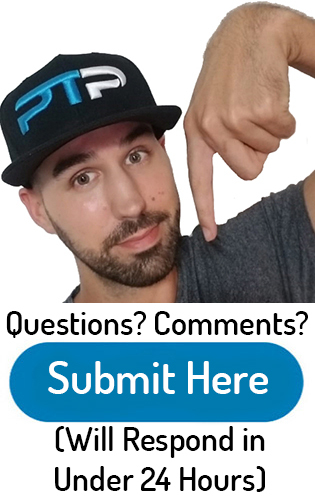 I would personally select the NASM PES or CSCS certifications because you do not need to go through nearly as many hoops to get them. Overall these are my top two choices. For regular personal trainers that would like to start working with athletes, any one of these four certifications will be sufficient. If you are outside the United States or would prefer to do a certification online, ISSA is the way to go. Check out ISSA SCC here. Regarding study materials, I think that the PES and ISSA’s SCC certification stand out. I don’t like how the SCCC does not have their study materials for their certification. In regards to the examinations, the SCCC is by far the most rigorous. On top of needing 640 hours of internship time, there is only one test time every single year, and you have to take the test in front of the panel of individuals. The CSCS is also a problematic exam in regards to pure question difficulty. When it comes to pricing, either way, you slice it you will be spending around $500 minimum. After that, it depends on what type of study materials you would like to prepare you for the strength and conditioning certification. Let’s pass the torch to you guys. Which certifications do you think are best for strength and conditioning coach? Have you guys gone through any one of these for programs? Let’s start a discussion down below so that we can further our knowledge on this topic! Now get out there and start working towards becoming a strength and conditioning specialist! Would you consider reviewing the certification for the NSPA: National Sports Performance Association? Hi Tyler! Is the ISSA certification accepted worldwide? I cannot speak to every country out there. All I know is that it is widely accepted within the United States. You are going to have to check with your individual country and the individual sports facility/club that you would like to work for to see which certifications they accept. This is the most important thing overall.